• Improves hip alignment through vertical loading over the hip joint. Although the NeuroSuit can help a host of many conditions, there are some however in which the NeuroSuit would NOT be recommended. 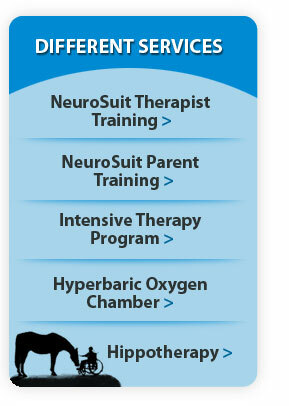 The following list are conditions which would require ADDITIONAL PRECAUTIONS but would not prevent one from benefiting from using the NeuroSuit.